It feels like we’re a dying breed, those of us who love records. We love to record them. We love to buy them. This is how I wish to present my work, and how I wish to experience the work of other singers. Make a record. Buy a record. Go away for awhile, be quiet, create, and make a record. As ever, this began with a song. After hearing Keith Jarret’s stunning instrumental version of ‘My Wild Irish Rose’, I decided to learn the song. A sentimental Irish American song from the 1890s, it was a surprise to me, how much I just loved singing it. Immediately. And of course, this began a process of challenging myself to find songs like this; and maybe even write a few. I’ve always been a sucker for sad songs. Sad songs make me happy. So, over the next 18 months or so, I learned or wrote about 30 songs. During 2013, I knew this was leading to a record, but there was a problem. Because the songs were simply a joy for me to perform, I could have delivered a record in my sleep. Easy arrangements in a familiar setting … no risk, no danger. Something told me to be patient. Perhaps the songs (and me) needed something fresh, otherwise why bother? Some of these songs have been recorded many times; often brilliantly. So, don’t bother, unless a fresh feeling for the songs can be found. Then one day in late November I met my friend Paul G. Smyth outside Tower Records in Dublin. Paul is a great piano player. We got to talking about these songs I had, and the seed was sown for piano involvement in the project. I sent Paul the songs. He voiced his approval and interest, but with typical generosity and humility insisted I needed to work with the Phil Ware trio. Paul suggested I check out the trio’s version of 'Nobody does it better' on YouTube. I did, and was hooked. Immediately I contacted the lads. This was new territory for me. I wanted to create a landscape for the songs which would enhance them, but also somehow expose them in a very naked way. So came about the mad idea to meet in the studio and instantly record with no rehearsal. Just feel the songs; play them, record them, release them. We met at 11.30am one Friday morning in the new year, and over the next two days recorded about ten songs. Six of the songs on the record come from these two days. Phil Ware, Dave Redmond, Kevin Brady and myself met each other through these songs, playing live together. No headphones, no overdubs, listening to each other and creating space for each other, and most of all, trying to serve the song. Of the other six songs on the record, five are solo, and the sixth? We had decided ‘My Wild Irish Rose’ would be best with just piano, vocal and guitar. Booked the studio for another day. On the day, Phil was ill, and couldn’t come in, so Brian Masterson and myself were in the studio in Wicklow wondering what to do … Then in came Paul Wade, who had the task of tuning the piano for Phil. As he was tuning and playing away, I commented to Brian that the piano tuner was also a pretty tasty player. 'Would you like to be?' says I. And so, the piano on ‘My wild Irish Rose’ is played by Paul Wade, who was in the building to tune the piano for Phil Ware. Well done Paul! In making this record, I took a risk I’d never taken before, going to studio with three men I’d never even met, hoping for a meeting of hearts and minds and maybe a little magic. It was one of the most enjoyable experiences of my working life with songs. Thank you Phil, Dave and Kevin for bringing your gifts to the table and helping me find my way into these songs. Thank you Fiachra and Carmel, and Ivan for making the recording so enjoyable too. And most of all, thank you Brian Masterson for bringing all you bring, and being all you are. Brian and I started recording together in 1977. We’re beginning to get the hang of it. Yep it feels like we are a dying breed; we who love to make and buy records. But it is what it is, and we are who we are. 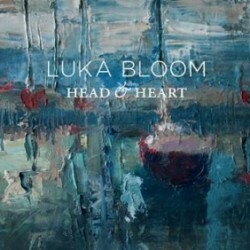 "Luka Bloom is mining the space between the notes with increasing precision. In Head and Heart he continues the exploration, in intriguing company... Bloom’s song choices are interesting and at times inspired (his reading of Ewan MacColl’s The Joy of Living is just that: a joy)... His guitar lines breathe fresh life into covers of John Martyn’s Head and Heart and the Keith Jarrett-inspired choice, My Wild Irish Rose.."
"Irish folk singer Luka Bloom returns with a heartfelt portrayal of ten classic songs and two new tracks. Recorded in home studios, Head And Heart sounds organic and honest, featuring beautiful string and piano arrangements..."
"The Irish folk singer returns with a new album of songs that are noteworthy for both their skeletal, laid-bare arrangements and the instrumentation provided by The Phil Ware Trio – Phil on piano, Dave Redmond on double bass, Kevin Brady on drums. Comprised of a number of covers and a couple of Bloom originals this is an album that keeps its focus on the simple beauty of great song, graceful melody and an unhurried demeanour. Dylan (‘Every Grain of Sand‘), John Martyn (Head And Heart) and Ewan MacColl (The Joy of Living) are some of the songwriters Bloom pays tribute to on this heartfelt collection." 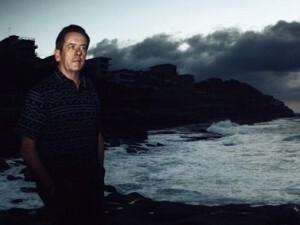 "On his latest album, Irish singer/songwriter Luka Bloom continues to balance his own songs with imaginative covers of material from some of his favourite songwriters and clever arrangements of well known classics. On six of the 12 songs, his acoustic guitar is complemented by a jazz trio (piano, double bass, drums), breathing fresh life into John Martyn’s title track, Gentle On My Mind, And I Love You So and The First Time Ever I Saw Your Face. A standout track is his own composition, Give You Wings, the story of families dealing with a life-changing-tragedy."